Marketing has changed dramatically since the four classic Ps of the marketing mix (price, product, promotion and place) were proposed. The new marketing landscape is characterised by the demand for constant innovation, rising pressure on budgets, the growth of social media and the impact of issues of sustainability and ethical issues. As the business landscape has transformed so have the fundamental areas marketers need to master to succeed.The 20 Ps of Marketing provides a thorough guide to marketers at all levels of the new elements of the marketing mix they need to contend with for business success including: planning; persuasion; publicity; positioning; productivity; partnerships; passion and more. 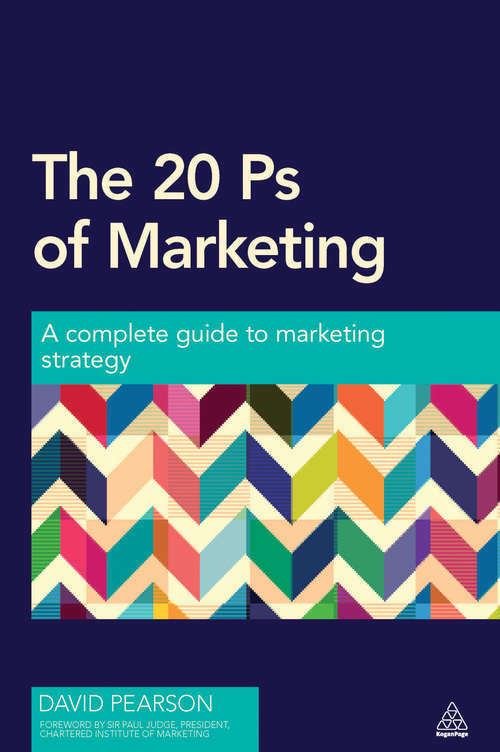 Combining practical advice with case studies it covers brands that have changed the game through mastery of the 20 Ps such as H agen Daz and Sony, and others, such as Kodak, who got left behind.This essential guide to the current face of marketing strategy provides marketers with a thorough and valuable grounding to the new fundamentals of marketing.